Category: Announcements, CMN Events, For the Kids, Fundraiser, Photo Galleries, Thank you! Earlier this month, 169 Publix Super Market stores joined to raise money for UF Health Shands Children’s Hospital. The annual campaign is in its 27th year and continues to be one of the largest sources of support for our local CMN hospital. 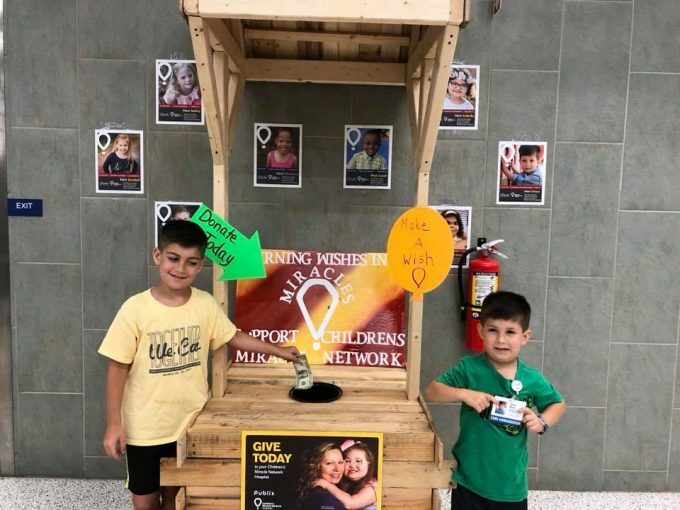 CMN Ambassador Owen (right) and his brother Noah visit their local Publix during the CMN Hospitals campaign. Thank you to each person who made a donation, and to the Publix employees who passionately endorse this campaign every year. Special thanks to every CMN Ambassador family who visited their local store to share their stories and motivate employees. View more photos of their visits.